Mr Morrison said the election would offer a “clear choice” for voters between the economy the Coalition had overseen for the last six years versus “Bill Shorten’s Labor Party”. “Now is not the time to turn back,” he said. “Keeping our economy strong is how we secure your future and your family’s future. Labor leader Bill Shorten, on Twitter, said it was “ready to deliver a fair go for Australia”. He is expected to speak later this morning to outline his case for election. In making his pitch to voters, Mr Morrison channelled former prime minister John Howard and the “who do you trust” campaign slogan he made famous during the 2004 election. 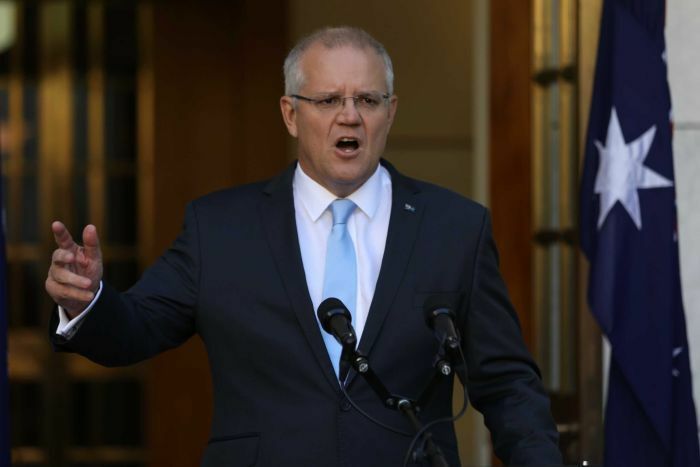 “So the choice to be made by Australians on May 18 is like it always is at every election, and that is, who do you trust to deliver that strong economy which your essential services rely on?” Mr Morrison said.